AND is aligned to the Next Generation Science Standards (NGSS) ?? Then don't miss these 2-day workshops - come to one or come to all three. **FREE Sky Color classroom kit ($125 value) for the first 12 registrants. NOTE New Pricing Structure: $175 per two-day workshop. 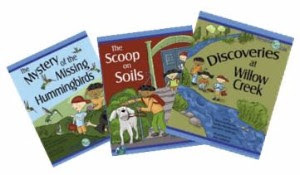 *Storybooks available in many languages, contact us in advance if you need versions in other languages.